A proven track record and over 22 years of experience, Brisbane psychologist and founder Ruane J Lipkie, will help you overcome life's most important challenges. A Life Logic is a long-standing psychological and counselling service in Brisbane. It is founded and run by Ruane J Lipkie, a registered Brisbane psychologist with over 22 years of experience and a Master of Psychology from the University of Queensland in Brisbane. Ruane has helped hundreds of people overcome their psychological barriers and some of life’s most important challenges. Ruane has worked as a psychologist both in Brisbane and overseas. She has recently gained registration with Health and Care Professions Council (HCPC) in London. During her time in London, she worked both for major county councils within the London district and in a private psychology practice in Harley Street. 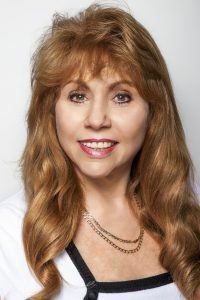 Ruane is one of Brisbane’s most respected psychologists and is experienced at working with international clients from many countries and different cultures. Prior to opening her private practice in Chapel Hill, Brisbane, Ruane was well regarded for her work as a psychologist in both government and private enterprise including University of QLD, Relationships Australia, Department of Health, Department of Corrections, Glenleighden Special School, Nudgee Junior, Proactive Injury Management and Gregory Terrace Rehabilitation. A Life Logic is a Brisbane-based psychologist practice which offers over 22 years of experience, specialist training across a range of areas, a proven track record in treating women, men, children, adolescents and families and also providing endorsement by Medicare Australia. You won’t find a more reliable, supportive and personally tailored psychologist in all of Brisbane. Ruane also makes sure that A Life Logic operates under the necessary principles of best practice. If you would like to know more or book a counselling session now, please don’t hesitate to contact our Brisbane psychologist here. Bachelor of Arts, majoring in Psychology (University of Queensland, Brisbane). Masters in Psychology (University of Queensland, Brisbane). Accredited Board Supervisor with Australian Health Practitioner Regulation Agency (AHPRA). Member of Health and Care Professions Council (HCPC).